Capture a thought, to-do, or scrap of information, FAST! 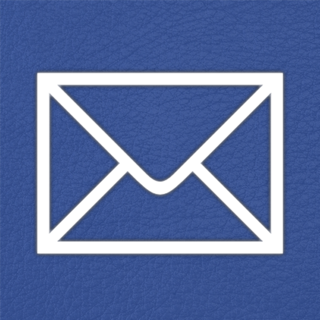 MeMail does one thing exceptionally well: send quick emails to a pre-set address. Email yourself reminders or notes? 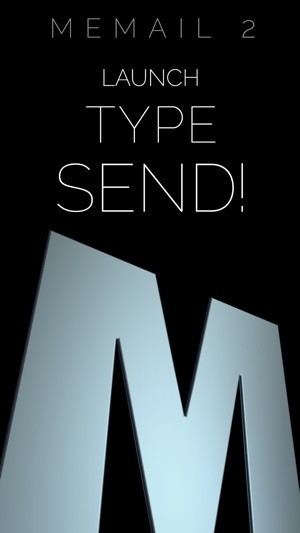 Just launch, type, and send — that's it! No fishing around for the right contact. Simply set your address the first time you open the app and you’re good to go. • Email messages are sent from your own account — they come from *you*, not a third party. 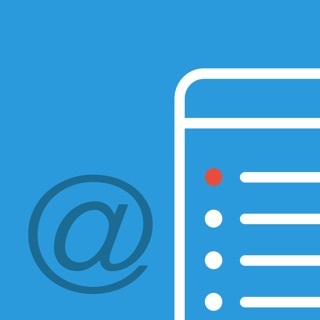 • Full subject-line control: Enable "AutoSubject" to add the first few words of your message to the subject line, or just use a custom prefix like "[MeMail]" so your messages stand out in your Inbox. You can use or both, or neither — or even change the subject manually before the message goes out — it’s up to you! 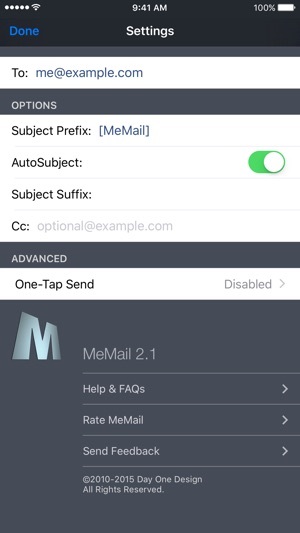 • One-Tap Send: Enter the settings for the mail account of your choice if you’d like to bypass the standard message screen and make MeMail even faster. • MeMail is great for sending emails to yourself, but many find it invaluable for other uses. 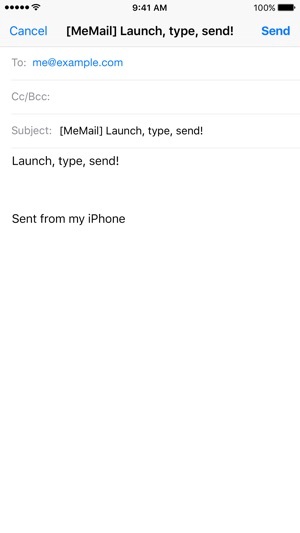 Set your significant other for quick "ETA" messages, use an Omni Mail Drop address and have your messages appear automatically as tasks in OmniFocus — if you can do it with email, you can do it faster with MeMail. This is exactly what I was looking for. Simple and fast. I looked for a while to find something like this and feared that I would have to create it myself. But I could not have created anything better. Great app! Hi -- thank you for the nice feedback! If you’re still seeing a preview after enabling “One-Tap Send” it means something is not quite working with your mail server settings. Check the in-app help & FAQs for more info, and feel free to reach out (“send feedback”) from app if you’re still having trouble. A superb app. If I'm in landscape mode on my iPad, this app opens & auto-flips accordingly. The TO addy is changeable, on the fly, if desired. Likewise, you can configure this app for a blank subject, prefix or suffix, easily changing on the spot as desired. 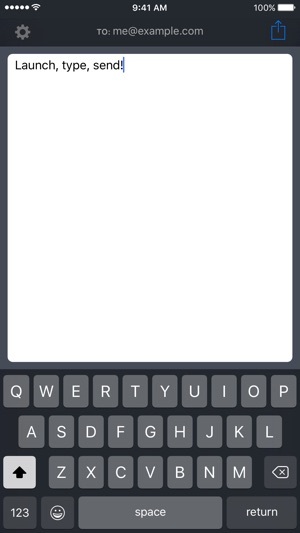 What I most appreciate is the TextExpander integration. With the appropriate OmniFocus-targeted snippets, this is miles faster for task entry on the go. (Hey, I am not a fan of the OmniFocus UI, especially when I'm in a hurry.) Kudos to the dev! Many thanks!!! Noto 2 - Email yourself. Fast.